The world's most popular thriller writer presents the definitive, never-before-told account of the Aaron Hernandez case. Everyone thought they knew Aaron Hernandez. He was an National Football Leage star who made the game of football look easy. Until he became the prime suspect in a gruesome murder. But who was Aaron Hernandez, really? Rich with in-depth, on-the-ground investigative reporting that gives readers a front-row seat to Hernandez's tumultuous downward spiral, All-American Murder will reveal the unvarnished truth behind the troubled star, with first-person accounts and untold stories-from his hometown of Bristol, Connecticut, to his college days in Gainesville, Florida, to the Patriots' NFL locker room where he ascended to stardom, to the prison where Hernandez spent his final days. 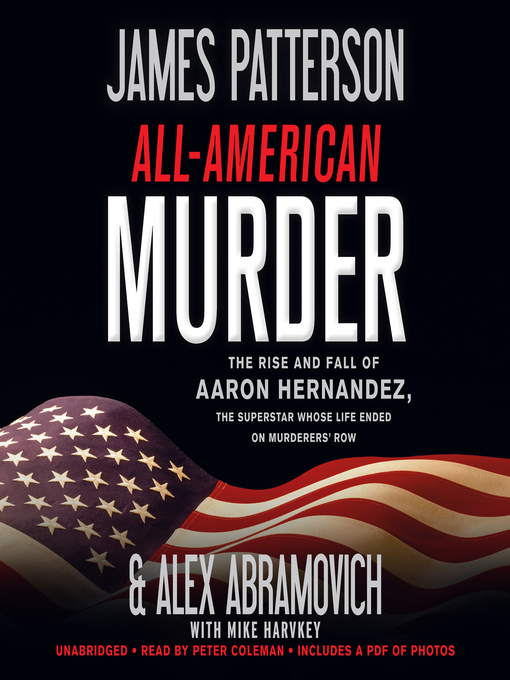 Packed with the shocking details of a true-crime masterpiece and the pacing of a suspenseful thriller, All-American Murder answers the questions that everyone is asking about Aaron Hernandez.